[BlindGossip] While the members of this famous family certainly resemble each other, there is one family member with a unique physical characteristic that differentiates them from their more famous sibling/s. 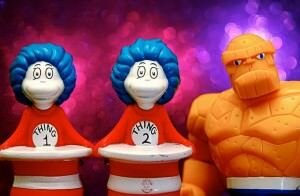 There have been rumblings about this for a long time, but it has finally been confirmed by parent to child: that the child is, in fact, the product of an affair one of their parents had long ago. The child did not take the news well, and really resents having been lied to all these years. Given that certain members of the family tend to selectively overshare, it will be interesting to see if this information is ever publicly revealed, and – if it is – how it will be spun. More drama erupted for Kim Kardashian and her family, as the ex-wife of her late father today claimed Kim’s sister Khloe was not his daughter. Two of Robert Kardashian’s ex-wives have come forward saying he confided him them that he was unsure of the paternity of the now-27-year-old. And Ellen Pierson, 63, who married Robert in 2003 just two months before his death, has also come forward after eight years of silence to ‘tell the truth’ about the Kardashian family. The reality star has hit back at the claims, calling them ‘really low’. She claims Khloe, who is married to Dallas Mavericks basketballer Lamar Odom, knew she had a different father to her sisters and younger brother Rob. She said Robert, who is of Armenian descent, had told her that he and Kris were not sleeping together at the time Khloe was conceived. ‘[But] he never would have considered a DNA test. He loved her very much. Robert did question the fact that Khloe was his,’ Ellen said. Khloe has responded to the claims today on Twitter. Kris, 56, recently admitted in her new book that she cheated on Robert during their marriage and Jan and Ellen [and] her husband also knew. 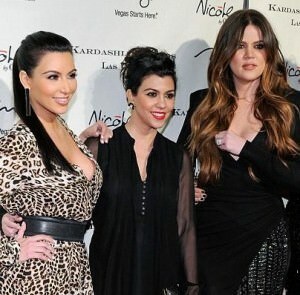 It’s interesting that Khloe doesn’t call the two women liars (which would open the door to defamation charges). She simply says that they are disgusting and should be ashamed of themselves. Sounds like she picked up those good legal instincts from Robert Kardashian. Her mother, unfortunately, isn’t as smart. Kris Jenner is the one who opened the door on this one. As the ex-wife of a lawyer, she should have known that you never introduce evidence that could open the door for cross-examination. Everyone got this right. Lisi006 was first! Well, if Khloe is mad at someone, she should be mad at her mother, Kris, who profited off disclosing her affair during the time she conceived Khloe. No, it’s not Todd Waterman. And, no, it’s not OJ Simpson! Meet Alex Roldan, Kris Jenner’s hairdresser. This may be Khloe Kardashian’s biological father. He worked on a music video that Kris Kardashian did for her 30th birthday called “I Love My Friends”. Alex is now a hairdresser in West Hollywood. While Robert Kardashian was only 5’7″ tall, Alex is a much larger man, standing approximately six feet tall. BTW, Khloe’s middle name is Alexandra. Here is Khloe next to an old photo of Alex Roldan. This photo is courtesy of Hollywoodite.com, which was one of the first sites to do an in-depth examination of the Khloe Kardashian paternity mystery. 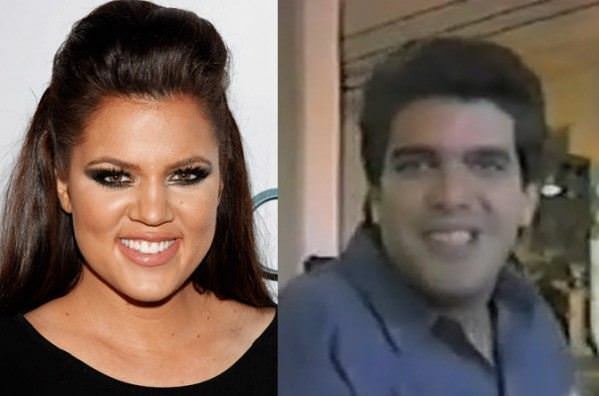 And here is Khloe next to more recent photos of Alex Roldan. These photos are also courtesy of Hollywoodite.com. “First official photo of my sister and her dad! Like father like daughter!” she tweeted. Given how upset Khloe was by the paternity rumors last year, we wonder if she found humor in these tweets. Although she has been very active on Twitter today, Khloe has made no mention of the photo. We will note that although we have heard that the paternity story will continue to play out during the next season of one of the Kardashian reality shows, they were not filming the show at the time of the photo. Khloe is in full makeup because she is currently shooting a music video with her brother Rob Kardashian, and Alex Roldan was there to do hair (he is a professional hairstylist). InTouch is running a story in their March 2013 print edition that Kris has paid off Alex Roldan to keep quiet about Khloe’s paternity. The price of silence? $30 million. The lingering controversy swirling around if Robert Kardashian was truly Khloe Kardashian‘s father has kicked into high gear again, thanks to a new report claiming Kris Jenner paid off the REAL father — hairdresser Alex Roldan — and included a $30 million penalty clause in a non-disclosure agreement that accompanied the deal. “Alex has been bought up by Kris, so he can’t speak,” a source told InTouch of the 56-year-old Los Angeles-based beautician, who’s been working with Kris for three decades. Another insider close to the family said Khloe would “feel completely betrayed” if she knew about the payoff. 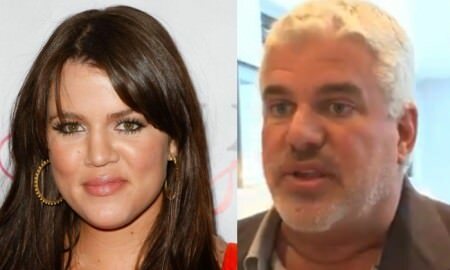 While Khloe, 28, and Kris, 57, have insisted that the late legal great was indeed Khloe’s birth father, they have yet to take a conclusive DNA test to prove it, even in the face of a $250,000 challenge from radio great Gregg “Opie” Hughes last year. The magazine features a close side-by-side comparison of Khloe and Alex, pointing out their similar eyes, nose and lip shapes. The story about Khloe’s paternity was first reported by Star magazine, based on interviews with two of Robert’s ex-wives, Jan Ashley and Ellen Kardashian. We broke this story in 2011, so Blind Gossip readers have known about Khloe Kardashian’s true parentage and this cover up for a long time! Note: This is a BlindGossip.com EXCLUSIVE. We appreciate media outlets and bloggers properly crediting BlindGossip by name and linking to BlindGossip.com when discussing this story. Thank you!